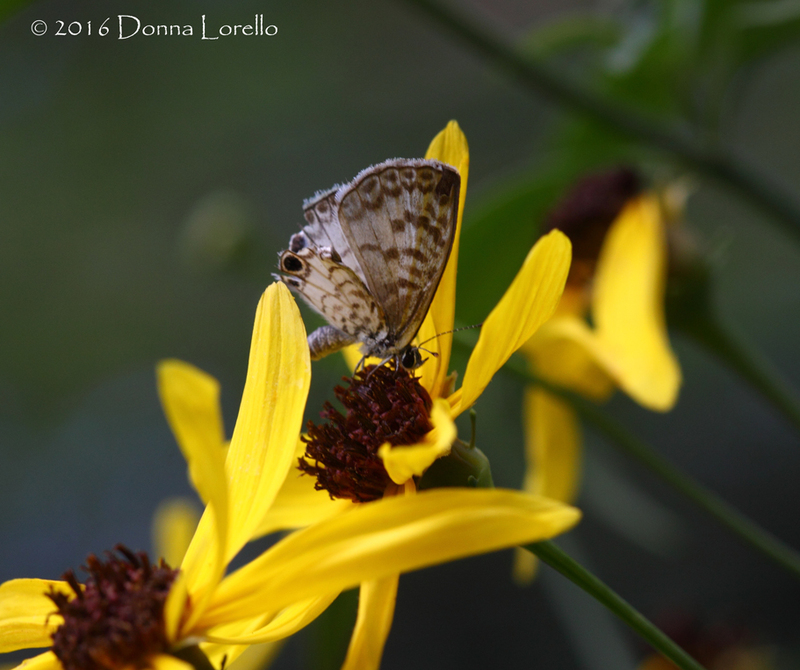 Butterfly was just at the Tall Tickseed again and then flew right back up into the Mimosa. It seems to be staying in the higher parts of the tree and then venturing down periodically to visit the Tickseed. In looking at photos taken yesterday, I noticed on a right hand profile shot that part of the hind wing is missing and you can see the dorsal side of the left hind wing - pattern is visible.